Your Handstand training mindset is a huge part of your path to success. It can honestly make or break you. Ask yourself, are you determined enough to accomplish a complex skill? How are you going to keep chugging along when the going gets tough? 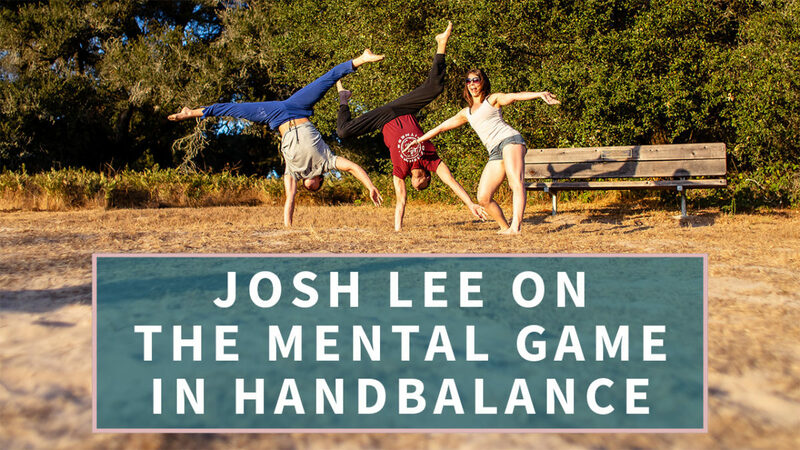 Our friend Soundschi over at Handstand Diary interviewed Josh Lee, a one arm Handstand practitioner, about his training mentality. He is humble and extremely knowledgeable. His advice is simple, hashtag worthy, and overall inspiring! Set up your Handstand training mentality right away so you don’t get frustrated and quit! There’s no real shortcut to anything in life, Handstand training included. You have to put in the work. People are different! Everyone who wants to learn a complex skill has to have a high level of determination, but the approach can vary based on personality type. Having a training plan to follow can ease any daily expectations. Just keep going! Rather than thinking of yourself as someone who can’t do Handstand, think of yourself as someone who CAN and is in the process of learning. Remember that you are a valuable human being in other ways. Here’s Soundschi’s interview with Josh Lee, the one arm Handstand master. There you have it. You heard it here first (pretty much)- your Handstand training mindset can set you up for success. It can also help you keep going when things aren’t exactly going, if you know what I mean. Soundschi does a great job seeing the connection between Handstands and real life: have a plan, don’t give up, know that you can! Words to live by, ladies and gentlemen. To ask Soundschi a question you can post in her YouTube Feed or go directly to her page at handstanddiary.com. Stay tuned for more Handstand awesomeness from me and Kyle coming up next week and stay awesome!